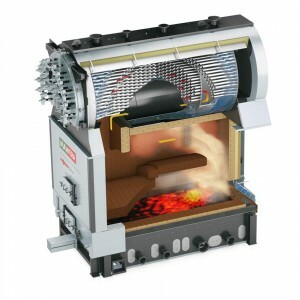 A UK leading producer of kitchens and bathroom furniture invest in the future of no costs for the disposal of wood waste and no oil or gas bills for heating of the total company site premises. J J O PLC – manufacturer of Colonial Kitchens, Colonial Bedrooms, eco Kitchens and eco Bathrooms. Founded over 100 years ago and now the leading supplier to many of the best outlets within the industry, they produce over 600 Kitchens, Bedrooms and Bathrooms every week and are widely recognised for their quality of service. With Over 400 employees we operate from our three quarters of a million square foot base, where the latest machine technology is married to some of the exacting skill of furniture manufacture. Certified ISO14001:2004 for the design manufacture sale and distribution of bedroom bathroom and kitchen furniture. 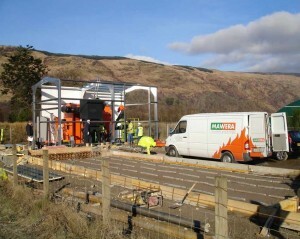 Their principals demand only the use of timbers from managed forests and all waste materials are recycled, and with considerable increasing costs of disposal and heating –Stephen Greenhalgh Managing Director and Bob Myers Production Director made decisions to install a MAWERA wood fired boiler plant to deal with the complete site requirements for heating of the site buildings with future capacity. The installation replaced all the existing heating units within the factory and required a new boiler house construction; Tony Devereux Maintenance Manager led the installation supervision for JJO PLC and with a period of 3 months the total installation was up and running ready for the winter months. The plant consisted of a new storage silo together with transport systems to the boiler house with the installation of a 2600kW Mawera FSR combustion and Boiler equipment. 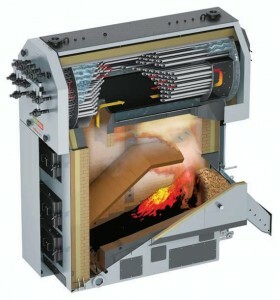 The plant fully automated with de-ashing and boiler automatic tubes cleaning are installed as part of the standard equipment. 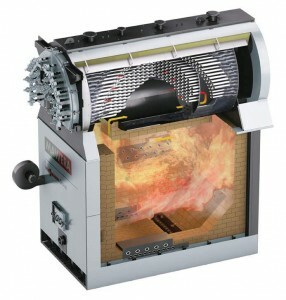 The boiler with a flat moving grate with two stage combustion systems together with recirculation of the flue gases into both primary and secondary combustion stages to ensure positive emission limit control, well within the PPC legislated levels regardless of the size and varying quantities of materials being burnt. Full EPA and Efficiency tests were carried out on the plant by Independent Consultants showing a substantial thermal efficiency and this gave ECA (Enhanced Capital allowance) to the plant. 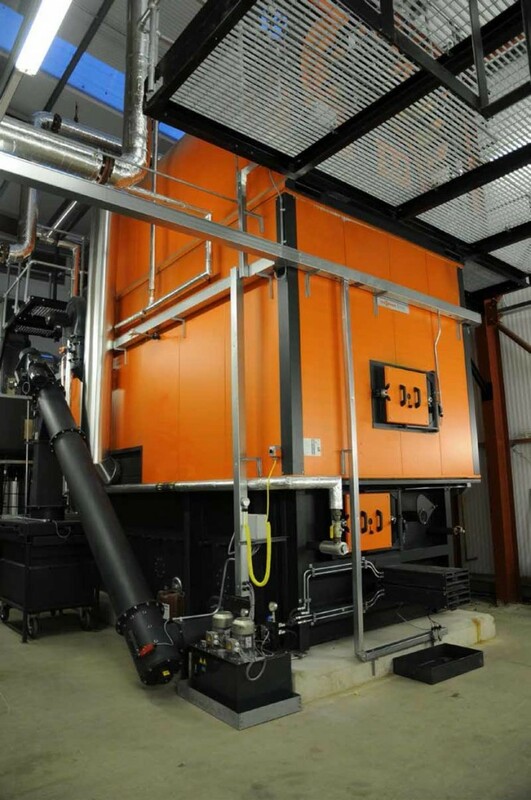 The plant was chosen as its efficiency and emission performance qualifies for ECA (Enhanced Capital allowance) and the Biomass support scheme. 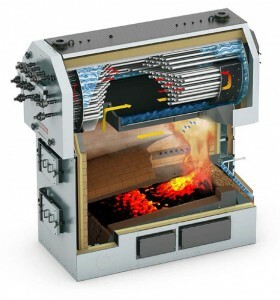 Continuous Monitoring of the EPA emissions is installed with remote access to both the emissions and the full boiler control was part of the package where all the functions of the plant can be continuously monitored remotely. The plant is a complete turnkey project including new storage silo and boiler plant with boiler house and complete heat distribution.